As I crawl towards the long Thanksgiving holiday weekend here in the U.S., I'm really looking forward to some downtime with the family. One item on my agenda is to see if I can get my oldest son (age 6) to sit down and write a letter to Santa Claus. He's been kind of down on Christmas this year, since he's convinced that he's already on the "naughty list." So, I was thinking about having him write a letter to Santa, and then having Santa send a letter back with some words of encouragement and ideas on how he can help spread holiday cheer. I discovered that the U.S. Postal Service runs a fun program during the holiday season called "Letters from Santa." With a little sneakiness on the part of an adult and an assist from the Anchorage, Alaska postmaster, children can write a letter to Santa and receive a personalized reply that is postmarked from the North Pole. You can learn more about how it works over at USPS.com. 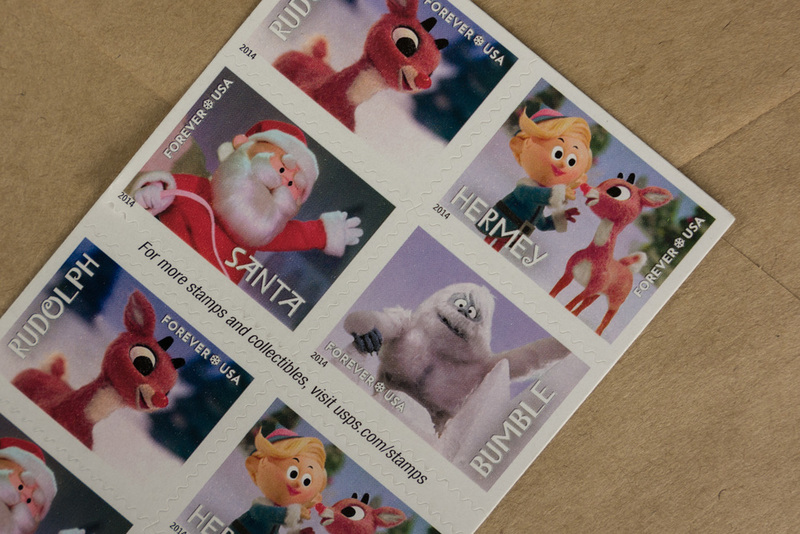 If you prefer having more control over the process, you can also play postmaster yourself by ordering one of the many great North Pole postmark stamps on Etsy and elsewhere. If you're a fellow American, I hope you have a relaxing and enjoyable Thanksgiving. If you are outside the U.S., I hope you enjoy a few days of peace and productivity while we Americans over-indulge in both food and retail consumption.